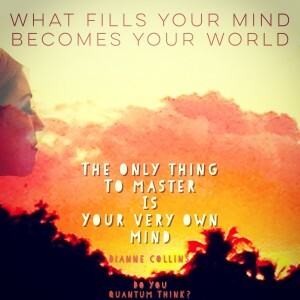 QuantumThink® is comprised of 21 specific principles and practices for the mind and awareness, based in quantum discoveries and universal wisdom made practical — for mastering effectiveness in modern life. We’re in a quantum age still attempting to use industrial age thinking even though it’s no longer effective. Time to update the “mind app” – time to QuantumThink. The online video course people are raving about! The fast way to begin to QuantumThink. All you do is listen. Visit our QuantumThink® Experience website, featuring QuantumThink AudioCoach, the 10 core QuantumThink distinctions in 20-minute audios. Click the graphic link to listen to a free intro. It’s exciting! 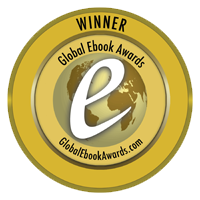 Happy to announce – Dianne Collins has received 8 book awards for Do You QuantumThink? The book is considered a must-read cutting-edge classic for our modern times. Thanks everyone! It’s a whole new way to view your life and the world. We’re in a Quantum Age still using thinking shaped by the Industrial Age, so it’s no wonder we’re feeling limited by it. 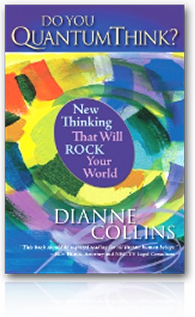 New thinking provides a different foundation, an expanded basis and framework for thinking in sync with more accurate and updated principles suited to modern times. 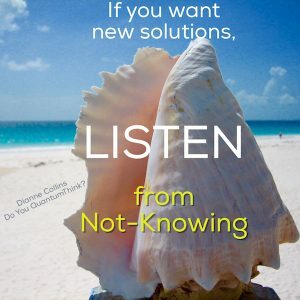 Enjoy a 2-part video of Dianne Collins addressing the question:“What Is New Thinking?” on the Consulting page of this site. QuantumThink is a solution-based perspective for new thinking presented in 21 principles at the edge of knowledge today—based in insights of quantum science and wisdom of spiritual traditions — applied successfully for mastering business results, relationships, global issues, and personal fulfillment. for people everywhere who desire an edge in life for all the best reasons. 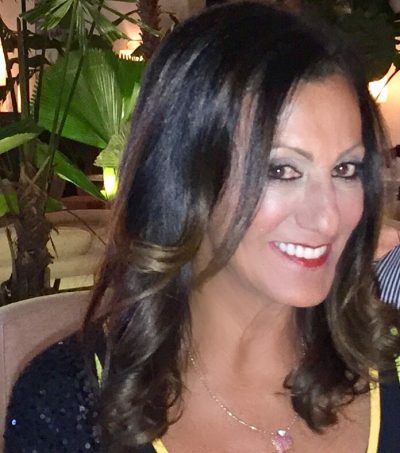 Dianne Collins is available for media appearances to discuss lifestyle, business and controversial issues applying QuantumThinking for new solutions, to expand the way we think and increase our joy in living masterfully. 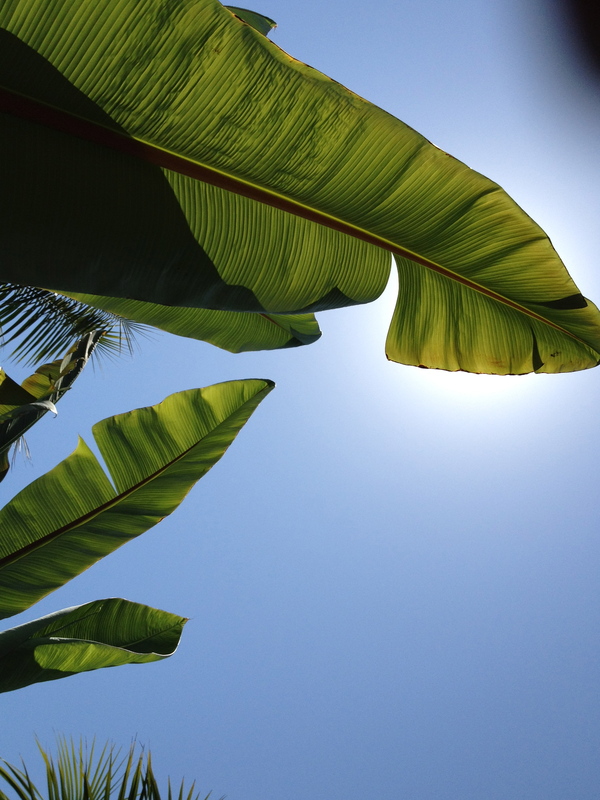 Read Dianne Collins’ blog on The Huffington Post. “Einstein’s edict, ‘the problems we have cannot be solved at the same level of thinking that created them,’ has become a modern-day mantra not just because it makes sense; it has never been more relevant.” -Page 11, Do You QuantumThink? It is our pleasure to welcome you and invite you to join me and my partner in business and life, Alan K. Collins with QuantumThinkers everywhere in thinking for a new world. WHO WANTS TO BE A QUANTUMTHINKER? If this is you, you’re in the right place. Welcome! THE “QUANTUM” DISCOVERY IS THAT MIND DOES MATTER. The science that gave rise to the Industrial Age saw the universe as machine. The more accurate science today views the universe as mind. When we learn how to use and master the natural creation faculties of our own mind, life becomes easier, more exciting and ever more fulfilling. This level of mastery in living and understanding opens the possibility of solving the pressing issues in our world today as we have never done before, as well as giving us a true sense of command in our business, professional and personal worlds. With this comes pure joy. We discuss specific QuantumThink principles and Group members apply it to business and life.